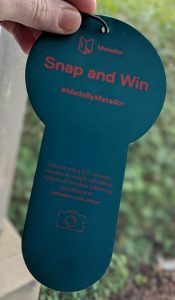 The Made By Metador competition gives every builder and installer the chance to win a £25 Amazon voucher every time they install a doorset from Metador. 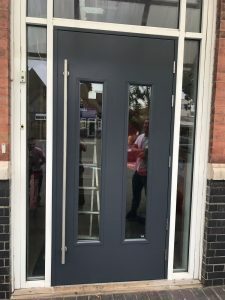 All you have to do is take a picture of the doors once they’ve been installed and send them to us! We’ll pick one lucky winner each month to receive the voucher. The pictures don’t need to be professional, but they do need to show the finished installation. Entries should be submitted using the online form via this link. As a bonus, every entry we receive will receive a packet of sweets in the post! We received a huge number of Made by Metador entries in 2018 – you can find them all here – but we think you can top it in 2019. This Defender Safeguard was installed by a fabrication company at a school in Balham, London. This Defender Safeguard was installed on this modular building for HMP Hatfield. These two Defender Safeguard doorsets were installed on a disabled toilet unit for Dorset Council. This Defender Safeguard was installed at ASDA in Swanley. These Defender Safeguards for Redhill Train Station. These distinctive orange Defender Safeguards were installed for B&Q. This Defender Xtraguard was installed at the ME London hotel. This Defender Safeguard was installed for Boston. Bonus points for creativity in the picture! So, once you’ve finished your installation, get snapping and you could be our next lucky winner!